A shaking of the Earth's surface due to a release of energy within the crust that generates seismic waves. A shaking of the Earth's surface due to a release of energy within the crust that generates seismic waves. Earthquakes generally happen on the boundaries of tectonic plates, where tension builds up and is sporadically released, as rocks move over one another. The power of earthquakes is measured on the Richter scale: 3 or lower is almost imperceptible, while 7 to 8 is a major earthquake. 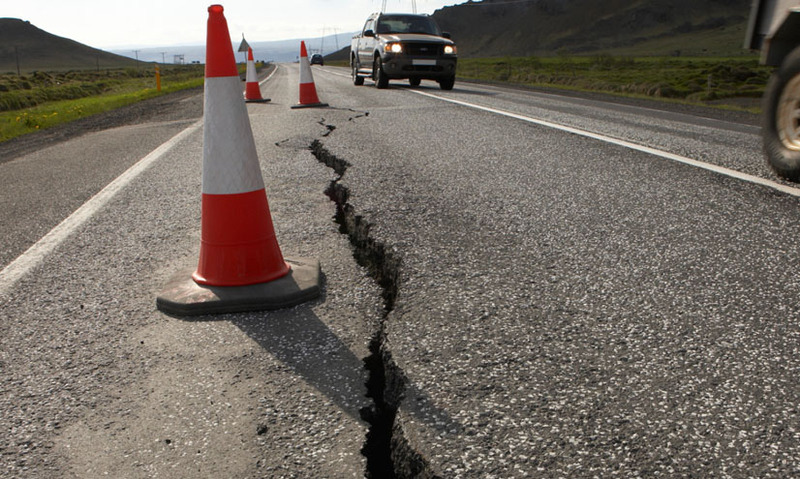 Earthquakes generally happen on the boundaries of tectonic plates, where tension builds up and is sporadically released, as rocks move over one another. The power of earthquakes is measured on the Richter scale: 3 or lower is almost imperceptible, while 7 to 8 is a major earthquake.